The Tefal Heritage 3ply range, designed in Frances, brings a touch of elegance to your kitchen with every piece. 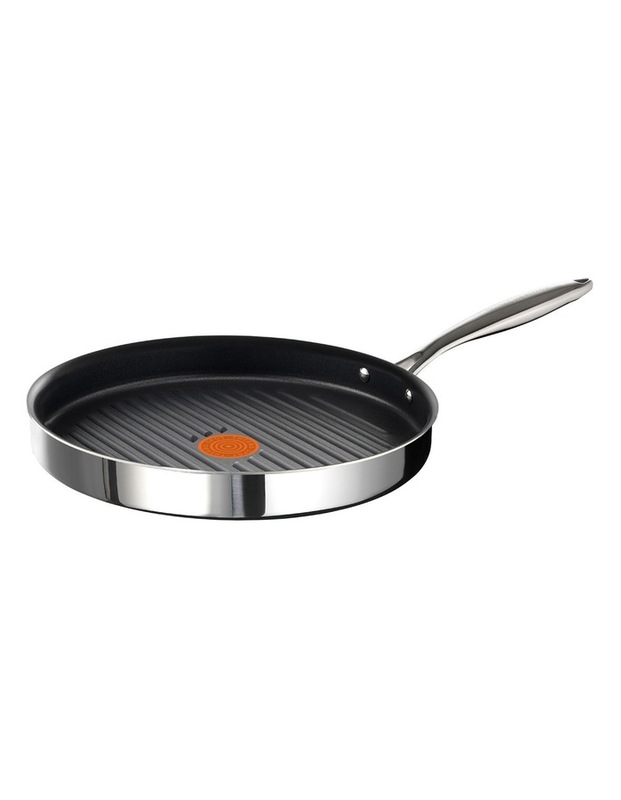 Tefal is the world leader in Non-Stick Cookware. Providing quality cookware that is durable & long lasting. The Tefal Heritage Triply range offers classical French design, that will add elegance to your kitchen. This 3Ply Non-Stick 26cm Grillpan is perfect for cooking a range of meals including fish, meats to add the perfect grill lines. - Tefal's latest 7 layers of non-stick coating. - Tefal Unique Thermo-Spot heat indicator. - Stainless Steel Riveted Handle. - Suitable for all hobs. - Recommended to hand wash to prolong the life of the product.